Nagpur: Tension prevailed in Lakadganj Police station area , when the mob of around 400-500 people approached there following a dispute over parking a vehicle in Parvarpura near Jain Mandir, Itwari this morning. 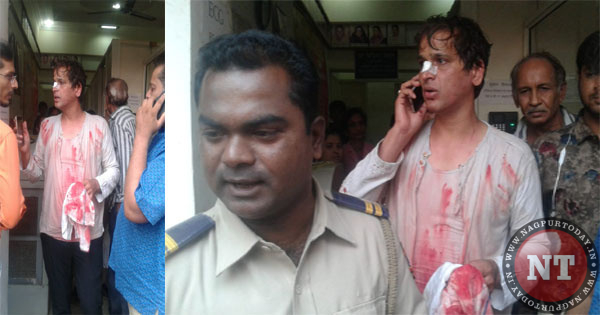 As per the details, Manish Devendra Jain had visited the Jain Temple on Thursday morning where brawl took place in the first place. Jain had parked his car in erratic manner which triggered the series of argument between Vicky alias Vikash Dewaji Chaudhary and his two three friends. 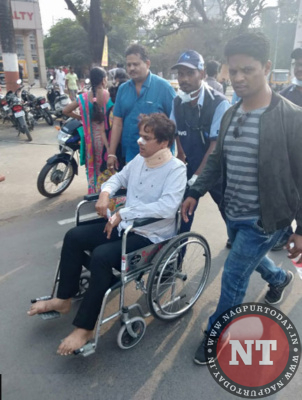 Soon the conversation turned ugly and Vikash and his friends allegedly attacked Jain and left grievously injured and had to be admitted to GMC with broken nose and head injuries. Soon after which, some anti-social elements started spreading rumors that Viju Pande spouse of corporator Abha Pande had thrashed Jain also abused him. Following which around 400-500 members of Jain community congested the Lakadganj police demanding immediate action against Pande. 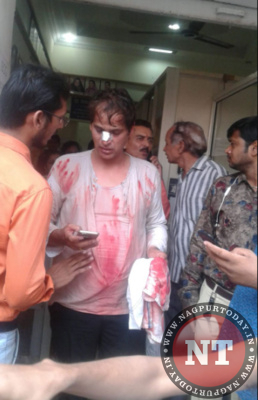 However Pande denied all the allegation and while speaking to Nagpur Today PI Santosh Khandekar of Lakadganj police clarified that it was Vikash and his friends who thrashed Jain and denied the role of Pande in the offence.